Octane Boosters, myth or reality? Actually, the answer heavily depends on product quality. Most, if not all, low-quality octane boosters are worthless. On the other hand, reputable octane boosters like the ones included in this article not only reliably increase your octane rating but also provides many extra features to enhance the internal combustion. Want to find out more? Then keep reading and discover what is the Best Octane Booster for your particular application. Octane Booster Type: this is a completely subjective parameter used to easily classify octane boosters according to their main applications. Average Cost Per Gallon: since most octane boosters can be used in different concentrations, a fixed reference was needed in order to bring you a better idea regarding the product real cost. In this case, a 91 to 94 octane boost was used as the reference for cost calculation. Some products were not able to achieve that goal, in those cases, their nominal boost was used for the calculation. Average Octane Boost: for the same reason explained above, a reference boost was chosen to give you an idea of each product potential. The 91 to 94 octane boost is only an arbitrary reference, it does not mean that you can’t use the products listed with 87 or 89 octane gasoline. Maximum Octane Boost: this is another indicator of each octane booster theoretical maximum performance potential. Keep in mind that some products do not officially advertise their max.potential, especially non-racing octane boosters. If you are looking for the best all-around, ready-to-use, Octane Booster then look no further Lucas OCTANE Booster is what you need. Quickly increase 3 whole octane numbers by just pouring a Lucas OCTANE Booster bottle into your tank!. Unlike cheap fuel additives, Lucas OCTANE Booster has been proven to increase the fuel octane level reliably. Its exclusive formula also enhances combustion efficiency thus improving fuel mileage. However, what makes this product fantastic is its ease of use. There are 3 different bottles sizes to choose from, just pick the right one depending on your fuel tank capacity and pour its entire content into your tank. That’s it! Lucas OCTANE Booster will instantly add 3 octane numbers to your existing fuel. Average Cost Per Gallon: 0.25 US$ for a 91 to 94 octane boost. Average Boost: boosts 91 octane Premium Unleaded to 94 octanes (using 0.6 oz of product for every gallon of 91 octane gasoline). Max. Octane Boost from 93 gas: 96 octanes - 3 octane numbers (using 0.6 oz of product for every gallon of 93 octane gasoline). Available Sizes: 2 oz (for 4-5 gallon tanks), 5.25 oz (up to 15 gallons tanks), 15 oz (up to 25 gallons tank). Klotz OCTANE BOOSTER is the perfect 2-in-1 fuel treatment for your vehicle. You can increase the octane level while cleaning your fuel system. Its active compounds also enhance combustion efficiency boosting gas mileage. All in all, a solid option for your high-compression engine. As said above, the formula of Klotz OCTANE BOOSTER keeps your fuel system clean, increases your octane level and helps combustion performance. If that is not enough for you, it also absorbs moisture which makes Klotz OCTANE BOOSTER ideal for ethanol-enriched fuels. Octane Booster Type: 2-in-1 Octane Booster & Fuel System Cleaner. Average Cost Per Gallon: 0.42 US$ for a 91 to 92 octane boost. Average Boost: boosts 91 octane Premium Unleaded to 92 octanes (using 1 oz of product for every gallon of 91 octane gasoline). Max. Octane Boost from 93 gas: 94 octanes - 1 octane number (using 1 oz of product for every gallon of 93 octane gasoline). STP Octane Booster is the second 2-in-1 product of this list. 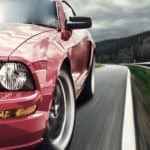 Since it is designed with an automotive enthusiast audience in mind, this would be a perfect choice if you are looking for a safe fuel additive to use on a regular basis. What makes STP Octane Booster different is its ease of use. On most vehicles, you just need to pour half bottle on your gas tank while filling it up. STP Octane Booster is not as strong as other fuel treatments, but that also makes it safe for use on any vehicle regularly. Average Cost Per Gallon: 0.14 US$ for a 91 to 91.1 octane boost. Average Boost: boosts 91 octane Premium Unleaded to 91.1 octanes (using 0.25 oz of product for every gallon of 91 octane gasoline). Max. Octane Boost from 93 gas: 93.1 octanes - 0.1 octane number (using 1 oz of product for every gallon of 93 octane gasoline). 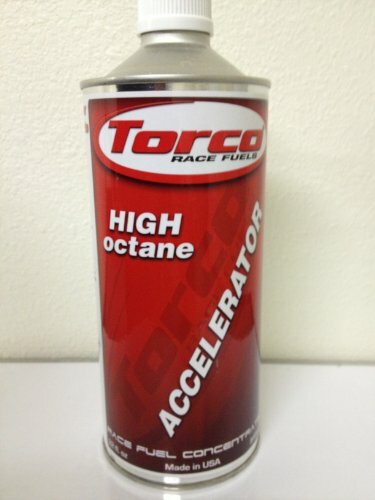 Torco ACCELERATOR is so confident about its quality and results that is not marketed as an “Octane Booster” but as an unleaded race fuel concentrate. You won’t find another product offering such a performance boost as Torco ACCELERATOR does, its the closest you can get to race fuel (at a fraction of the cost). The ability to increase 91 octanes to a whopping 102-105 octanes is certainly a differentiating factor. Such a boost come at a price, around $2.3 per gallon, but considering that race fuel costs an average of US$ 9 per gallon, using Torco ACCELERATOR is still a bargain. Average Cost Per Gallon: 2.3 US$ for a 91 to 102 octane boost. Average Boost: boosts 91 octane Premium Unleaded to 102 octanes (using 3.2 oz of product for every gallon of 91 octane gasoline). Max. Octane Boost from 93 gas: 107 octanes - 14 octane number (using 6.4 oz of product for every gallon of 93 octane gasoline). Producing a reliable octane booster is not easy. That’s why it’s important to choose a reputable brand that delivers what it promises. That’s exactly the case of Royal Purple. Its MAX-BOOST octane booster guarantees an increase of 3 numbers on your octane rating. Ready for a long trip? Perhaps a racing weekend? Royal Purple MAX-BOOST is the solution you need. 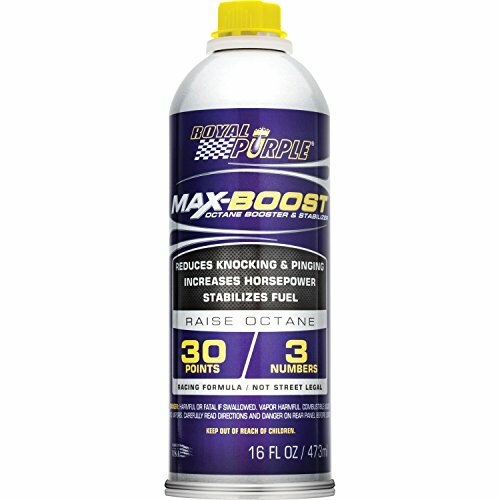 Royal Purple MAX-BOOST is not only a high-quality fuel additive from a Premium brand, is way more than that. Its formula stabilizes fuel so both emissions and combustion efficiency are equally improved. Average Cost Per Gallon: 0.55 US$ for a 91 to 94 octane boost. Average Boost: boosts 91 octane Premium Unleaded to 94 octanes (using 1.25 oz of product for every gallon of 91 octane gasoline). Max. Octane Boost from 93 gas: 96 octanes - 3 octane numbers (using 1.25 oz of product for every gallon of 93 octane gasoline). BOOSTane Premium is hands down your best option for improving your overall octane rating and maintaining your fuel system clean at a reasonable price. Since its street legal you can use it regularly without any worry. If you own a high-compression vehicle (no matter if it has a 4-stroke or 2-stroke engine) then BOOSTane Premium won’t let you down. 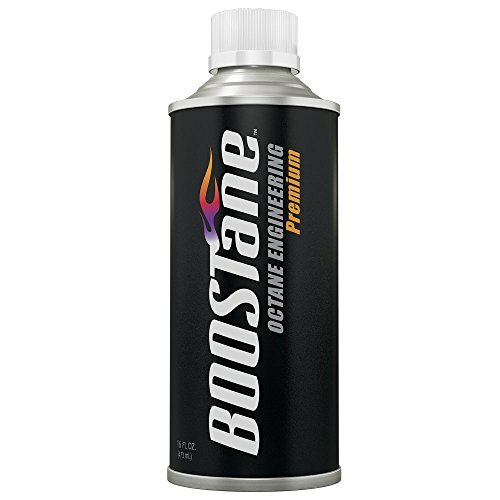 Even though all octane boosters have the same goal (increasing the octane number) BOOSTane Premium focuses on offering a fuel treatment to customers living in areas without access to high octane fuels, customers owning cars that rely on leaded gasoline or simply enthusiasts looking for a high-quality fuel additive stabilizer that prevents engine knocking. Make no mistake, you can use BOOSTane Premium for racing, and high-performance sports cars as well, but since it's formulated for more mundane applications in mind, the company’s BOOSTane Professional would be more adequate for such purposes. Octane Booster Type: Profesional-Grade 2-in-1 Octane Booster & Fuel System Cleaner. Average Cost Per Gallon: 0.30US$ for a 91 to 94 octane boost. Average Boost: boosts 91 octane Premium Unleaded to 94 octanes (using 0.24 oz of product for every gallon of 91 octane gasoline). Max. Octane Boost from 93 gas: 103 octanes - 10 octane numbers (using 6.40 oz of product for every gallon of 93 octane gasoline). As you may guess from its name, Race-Gas is not simply an octane booster. Similar to Torco ACCELERATOR, this is a race-grade product aimed at professional racers and super sport cars owners alike. 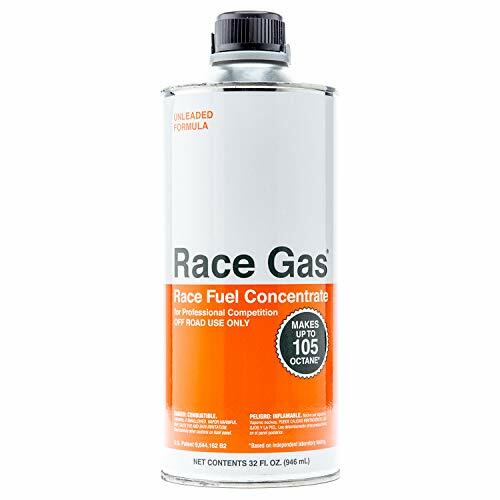 Race-Gas is a race fuel concentrate. As such, you can expect huge increases in octane numbers depending on the quantity of product you are willing to use. Since Race-Gas is created by racers for racers you can also expect a superb performance and quality. Average Boost: boosts 91 octane Premium Unleaded to 95 octanes (using 2 oz of product for every gallon of 91 octane gasoline). Max. Octane Boost from 93 gas: 107 octanes - 14 octane numbers (using 7.0 oz of product for every gallon of 93 octane gasoline). 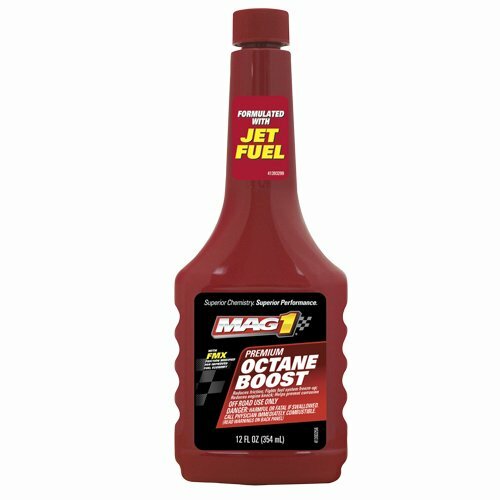 MAG 1 Octane Booster is the kind of fuel additives you can use on a regular basis. Its formula contains FMX Technology that protects your engine and enhances gas mileage at the same time that increases octane number. Opposed to racing-focused fuel treatments, MAG 1 Octane Booster is meant for an audience that looks for enhancing fuel quality and stability. Its FMX technology focuses on that, engine protection, and due to its Jet Fuel component, it also boosts octane level as well. Average Boost: boosts 91 octane Premium Unleaded to 91.1 octanes (using 0.57 oz of product for every gallon of 91 octane gasoline). Max. Octane Boost from 93 gas: 93.1 octanes - 0.1 octane numbers (using 0.57 oz of product for every gallon of 93 octane gasoline). The final product on this list has an interesting approach using an All-Organic formula (lead-free and phosphorus-free composition). 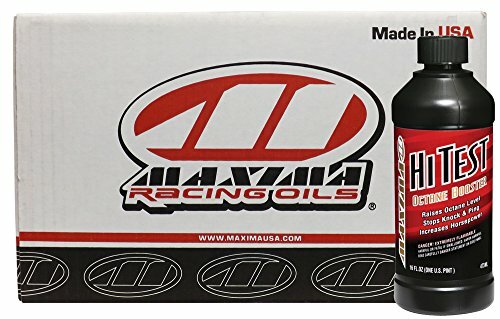 We are talking about the awesome MAXIMA HI-TEST octane booster. Besides being metal-free, MAXIMA HI-TEST formula also includes special fuel additives that clean the fuel system thus enhancing gas mileage. The 2-in-1 proposition clearly makes MAXIMA HI-TEST an interesting product for mild-racing, everyday highway use or simply as an efficient alternative to avoid detonations on high-compression engines. Average Boost: boosts 91 octane Premium Unleaded to 91.4 octanes (using 1 oz of product for every gallon of 91 octane gasoline). Max. Octane Boost from 93 gas: 94.6 octanes - 1.6 octane numbers (using 4 oz of product for every gallon of 93 octane gasoline). The following table cross-references each of the reviewed octane boosters. Keep in mind that most professional and race-grade octane booster can be used with any pump gasoline kind (87, 89, 92, 93). As its name implies, octane boosters main goal is increasing the gasoline octane number. You may wonder, why not buying Premium gasoline instead? The main reason is the cost. Using octane boosters is way cheaper than buying higher-grade fuel. However, the cost is not the only factor that makes octane boosters so popular. High octane fuel availability is also valid reason for using an octane booster. If you live in a zone with no access to 91-93 octane fuel an octane booster could solve your pre-ignition problems. That brings us to the next topic, why you need high octane fuel? 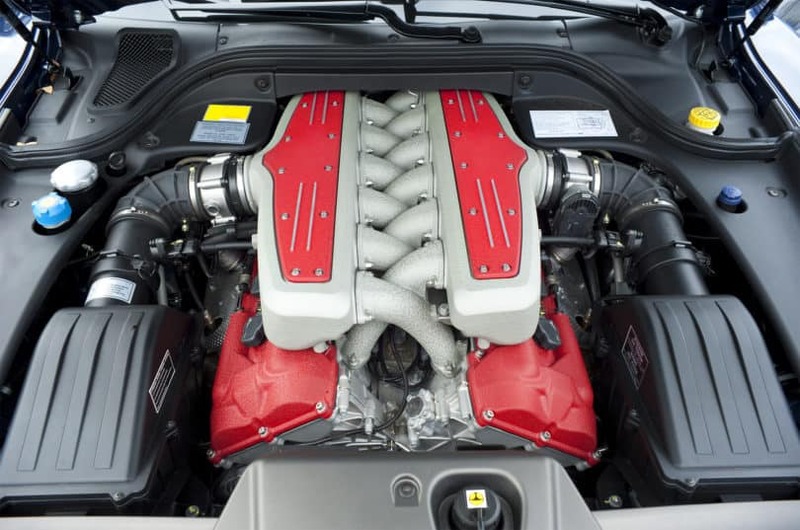 Depending on your engine compression ratio your car manufacturer may suggest an specific gasoline octane number. High compression engines are more susceptible to pinging and dieseling than low compression ones. That’s why they require higher octane, to avoid pre-ignition. Upper cylinder lubricants, in many cases replacing leaded fuel properties not present in most unleaded pump gas. Aromatics: toluene and xylene are among the most widely used aromatic agents on refined gasoline. They do not show carcinogenic effects, contrary to benzene that is limited by U.S. EPA because of its harmful properties. Oxygenates: alcohols like ethanol, methanol, and ethers like MTBE (methyl tertiary butyl ether) are also used to increase the octane number. One of the main disadvantages of alcohol-based oxygenates is that they reduce gas mileage and can damage fuel system components. Organometallic Compounds: the usage of this kind of anti-knock agents are greatly limited due to its toxic nature. Included in this category is the tetraethyl lead (TEL) main component of leaded gasoline and the methylcyclopentadienyl manganese tricarbonyl (MMT), both banned from the commercial gasoline in the U.S. decades ago. Depending on the amount of MMT used some fuel system components (like the catalytic converter) could suffer serious damage. For the reasons explained above, aromatic agents are the most widely used during gasoline refining. Octane boosters, especially professional-grade and racing-grade types, use oxygenates and/or organometallic compounds to increase octane numbers. That explains why only a few are street legal. One of the most controversial agents is the MMT due to its high toxicity, that’s why we included its presence in our list. The golden rule when using ANY octane booster is reading the manufacturer indications BEFORE using it. As mentioned above some products are intended for direct usage, but others not. Using a lower concentration may not have any consequences (other than losing money). On the other hand, using an excessive concentration could be dangerous for your engine. Remember the prior section? Some anti-knock agents could damage your fuel system components if used on higher concentrations (MMT I am seeing you). Try using an appropriate octane booster depending on your application. Some products are safe for use on 2-stroke engines, others don’t. Once again, double check the manufacturer indications. Buy an octane booster in line with your expectations. Is your engine presenting occasional detonations during summertime? Then start using an everyday or “light” octane booster. You don’t need +14 octane numbers to solve that. The contrary is also valid. Are you planning a professional racing weekend? Then buy a good octane booster, not a general purpose one. For best results, pour the octane booster content just before adding the fuel. In other words, wait until your fuel tank level is low before using the product. Avoid storing unused octane booster. 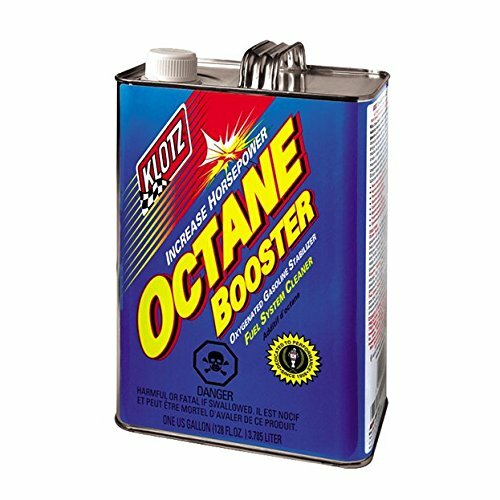 Most octane boosters are highly volatile, toxic and inflammable.